Carat weight is the easiest of the 4C’s to grasp. People generally associate carat weight with size and to a degree this is true but there’s more to learn about carat weight than size. Carat weight is simply the weight of the gemstone which is most accurately determined by weighing the diamond on a properly calibrated digital balance which weighs the gem material down to 1/1000th of a carat. 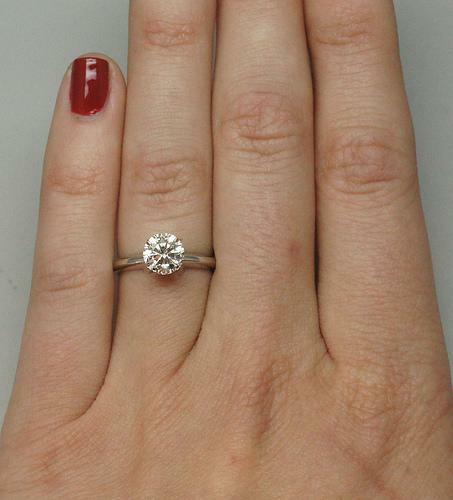 The term “carat” is an expression of weight used to describe the weight of gemstones exclusively. The best way to understand carat weight as it relates to “size” via the web is to view carat weights against a standard of measurement. 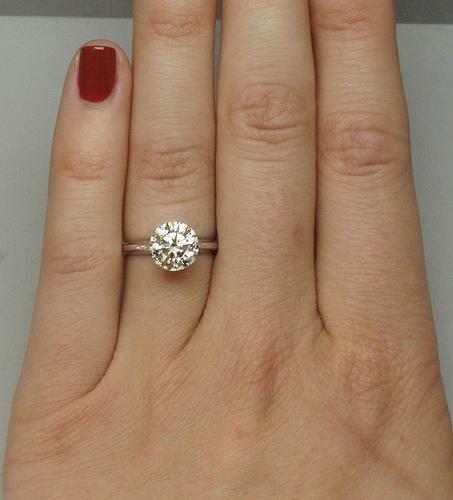 For this example, we will use a ladies hand, size 5 1/2 alongside diamonds ranging from 0.50cts to 2.50cts. Here are the same diamonds alongside each other, with a dime in the picture to give you another view of their relative size. Now that you have a grasp on carat weight as it relates to size there are a couple of other important factors to learn about and consider when it comes to the subject of Carat Weight. You can have two diamonds of the same that are different in actual millimeter size. 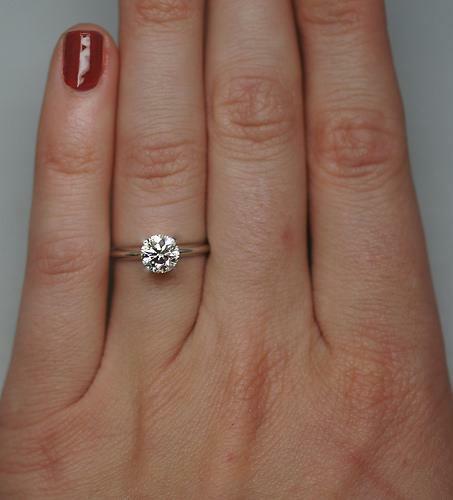 This figure shows two 1ct brilliant cuts. 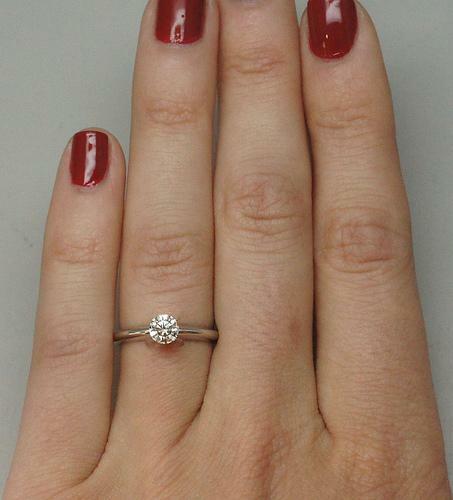 Note that the diamond on the left looks smaller than the diamond on the right yet they are both 1ct in size. 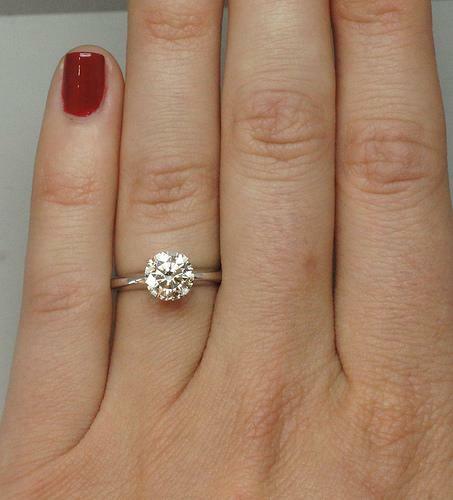 Correction, the diamond on the right weighs 1.00ct and the diamond on the left weighs 1.01ct! The reason for this is due to the cut quality. 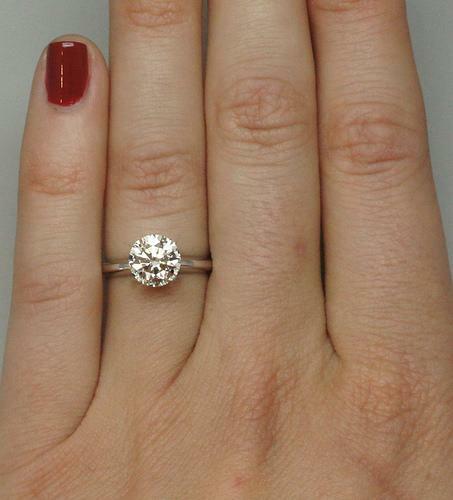 The first diamond is cut too deep and therefore looks smaller for its weight. This graphic is a great demonstration of why it pays to get a superior cut. Another important factor to keep in mind with regards to Carat Weight is that once you reach certain magic numbers in the weight the prices of diamond can take a notable jump in value. What this means is if you have two diamonds that are both comparable in quality and one weighs 0.94ct and the other weighs 1.01ct, though the difference in size is negligible, the difference in value can result in hundreds or even thousands of dollars.  Each week pricing reports are released on diamonds. The reports are broken down into categories of carat weight based on the numbers listed in the chart and reflect what certain carat weight, clarity and color combinations are trading for on the market. The following graphic is an example of a report. 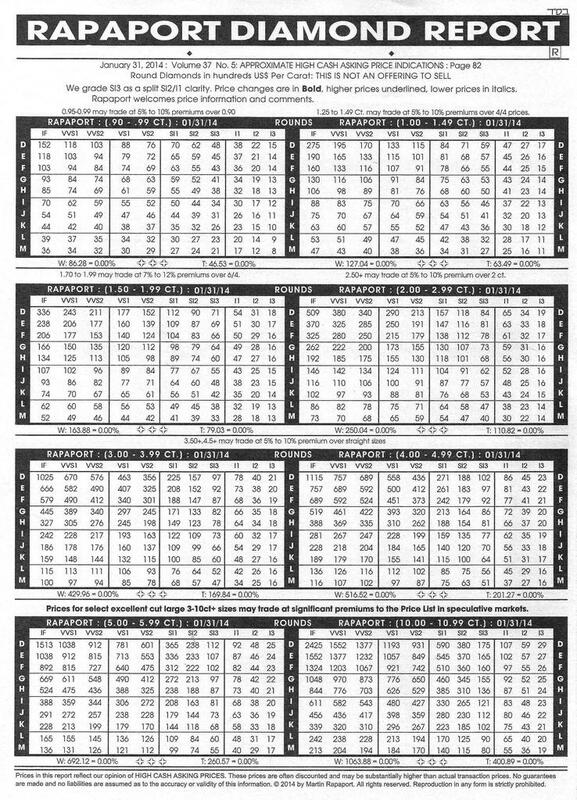 You’ll note 8 blocked off tables on the report listing various weight ranges starting from 0.90-0.99ct and up to 10.00 – 10.99ct. This is page 2 of a pricing report; page 1 lists pricing from 0.01ct up to 0.89ct. 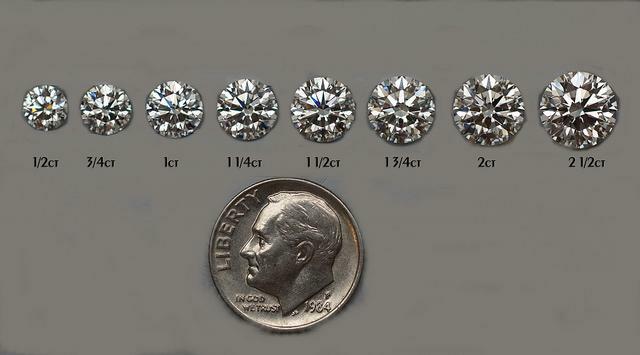 Note that in the table on the left you have the weight range of 0.90 – 0.99ct and in the table on the right 1.00 – 1.49ct. Each table represents pricing in hundreds of US dollars for what any given weight, clarity and color are listing for. 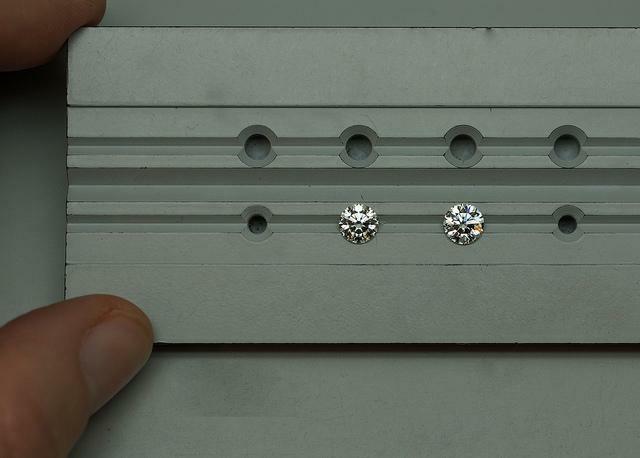 Going back to our 0.94ct vs 1.01ct example, if we were comparing G VS2 qualities in each size range in order to determine the listed value difference, here are the steps we’d take. Find the table in the 0.90-0.99ct range where it intersects with G VS2. You’ll see that a diamond in this carat weight, clarity, and color is listing for 63 or $6,300 per carat. 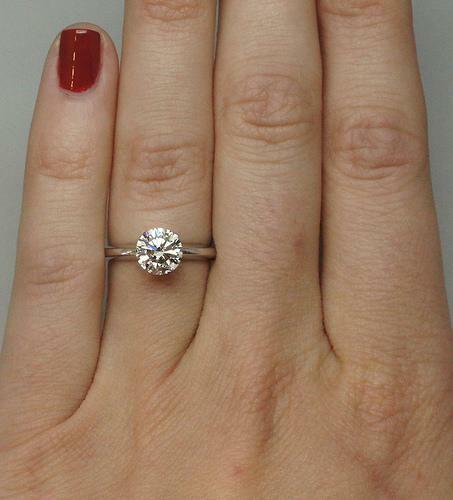 $6,300 x 0.94ct = $5,922. When we look at the same quality in a 1.01ct we’d look at the table on the right and note that where G VS2 intersect we find diamonds in this size range are listing at 84 or $8400 per carat. 8400 x 1.01 = $8,484. $8484 - $5922 is a difference of $2562. That would be the cost difference between the two diamonds. This excerpt appears in the carat weight tutorial because once you’ve learned about the various qualities of diamonds, you are empowered to make the best choices.  If you've identified the clarity and color you want to purchase but find that it is more than what you want to spend, consider adjusting your size requirement. Sometimes dipping approximately a tenth of a carat in certain weight ranges can mean getting the quality you want, for a much better price, at no great sacrifice in size. 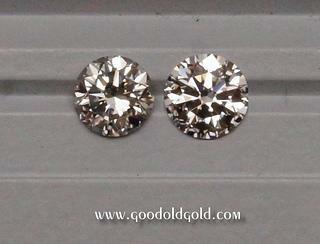 For reference, here is what a 0.94ct looks like alongside of a 1.01ct.  Bear in mind the following important clarifications concerning pricing reports. The prices listed on the reports are rarely the actual price a diamond is traded for on either the wholesale or retail market. The listed prices do not take cut quality into account. The prices only carat weight, clarity, and color into account. Differences in cut quality can impact value by up to 40%. Gemological issues such as surface breaching inclusions, black inclusions, graining levels, and color tone, which can't be determined for a lab report, can impact the value by larger percentages. 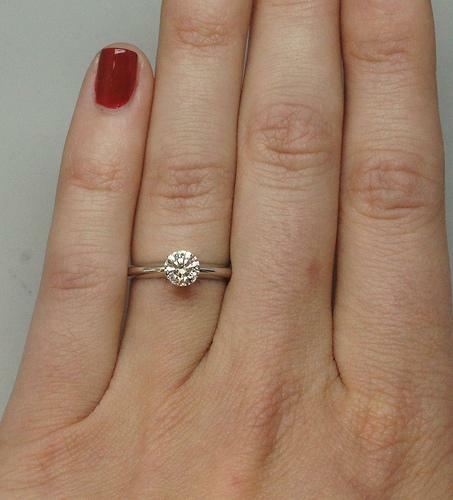 The prices vary when comparing diamonds from different labs. A diamond from a lab other than GIA or AGS is generally going to be priced at more of a discount and it's not because reports from other labs are better buys. It is generally because they are not graded as strictly. In conclusion, while carat weight is generally the easiest of the 4C’s to understand, and is pretty straightforward, there are some nuances to carat weight and pricing that can help you save money without sacrificing quality.